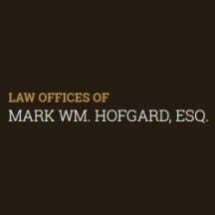 At the law office of Ruffatto & Hofgard, we offer big law firm resources coupled with small law firm values. Our strategic and skilled trial lawyers have more than 60 years of combined legal experience, and we provide our clients personalized, cost-effective legal counsel. From our Goodyear, Arizona, law office, we represent clients in the Phoenix metro area. We have several additional office locations, allowing us to provide legal counsel to individuals, investors and businesses throughout Northern Arizona and Colorado. At Ruffatto & Hofgard, we pride ourselves on offering business and commercial litigation and other legal services at a fraction of the prices of a large law firm. As both business professionals and lawyers ourselves, we know well that business owners need to watch the bottom line in everything they do. We offer transparent and competitive legal fees as well as alternative billing arrangements. Contact our law firm today to talk to one of our attorneys about how we can help you, whether you are facing a business and commercial litigation matter, a real estate dispute or have been injured in an accident. Mark Hofgard truly is a good guy. He went all the way for me. I just can't say enough good things about him! Thanks, Mark!